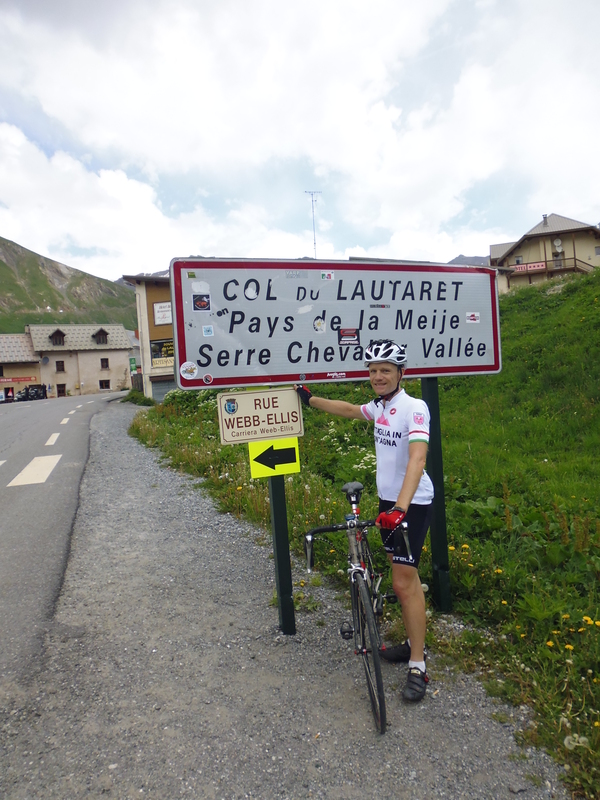 Overall ride and climb – 120 km and 2,543m. The fourth ride, and the start of this day means the team is over half way, at the end of this day there are two more rides until they reach the Mediterranean. 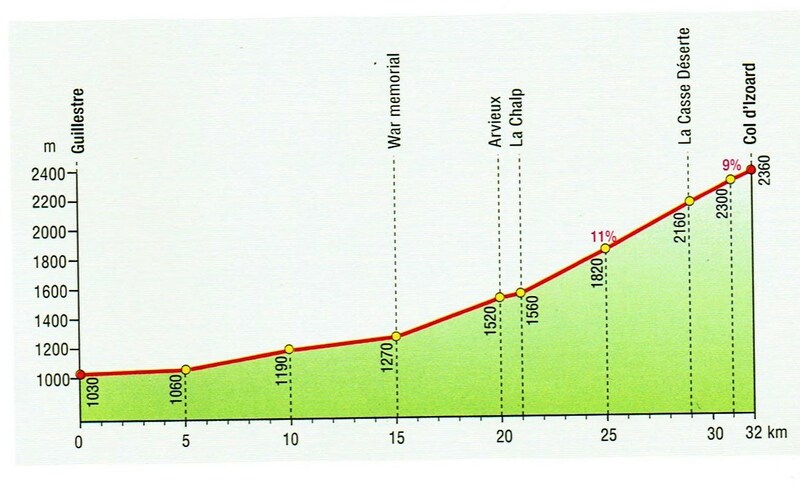 Col de Sarenne summit sits at 1,999m, and is the first climb of the day. 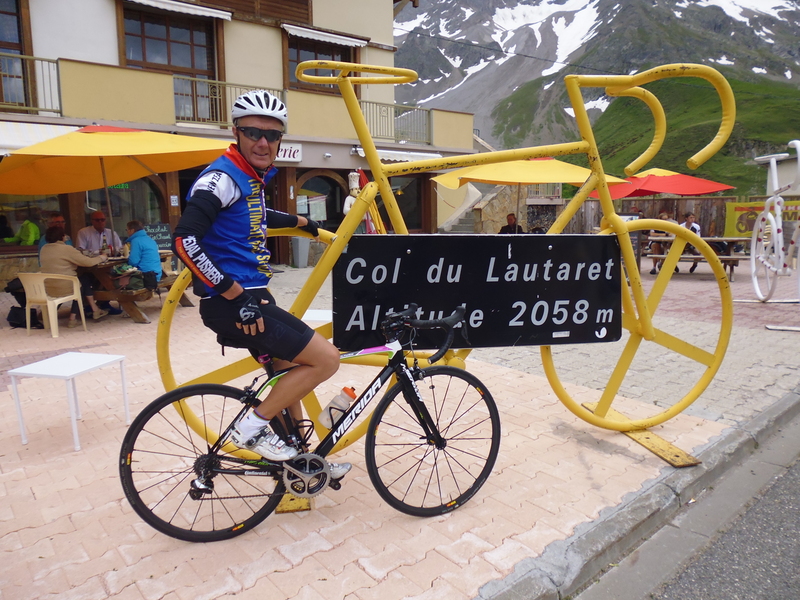 This ride is up and over the summit on a brand new incredibly steep and narrow road, with dangerously tight hairpins; and will debut in this year’s 2014 Tour de France. 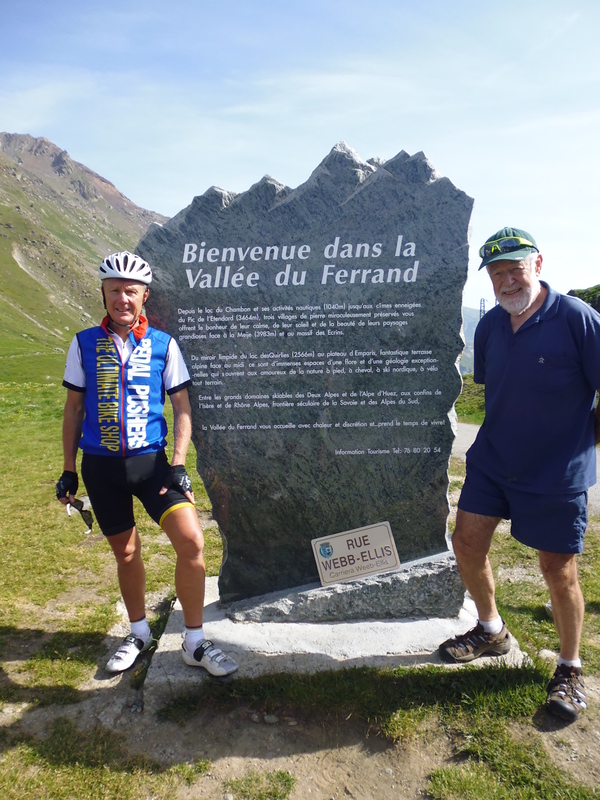 From here it is back down the valley where they have a long steady climb up to Col du Lautaret, with an elevation of 2,058m, where they descend into Briancon, Frances Highest City. 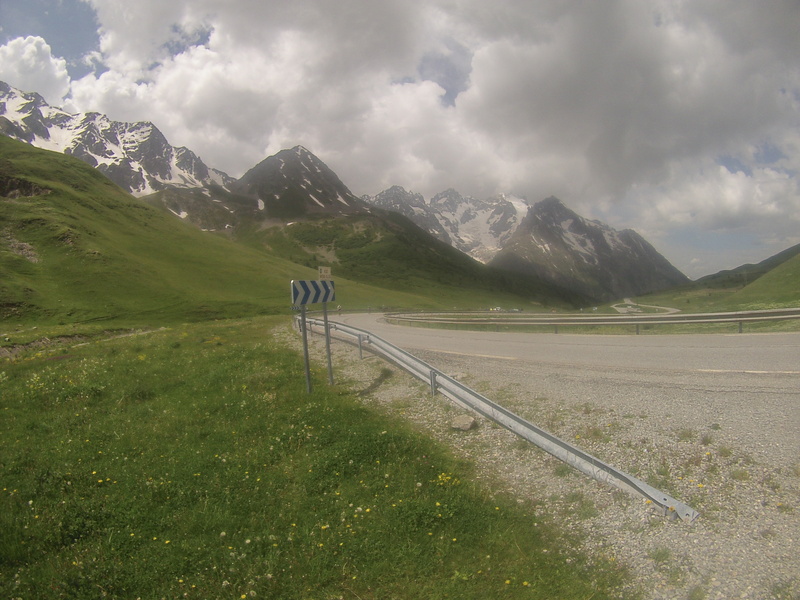 Here they rest and refuel before heading up the big climb of the day, the majestic iconic climb, Col d’Izoard. 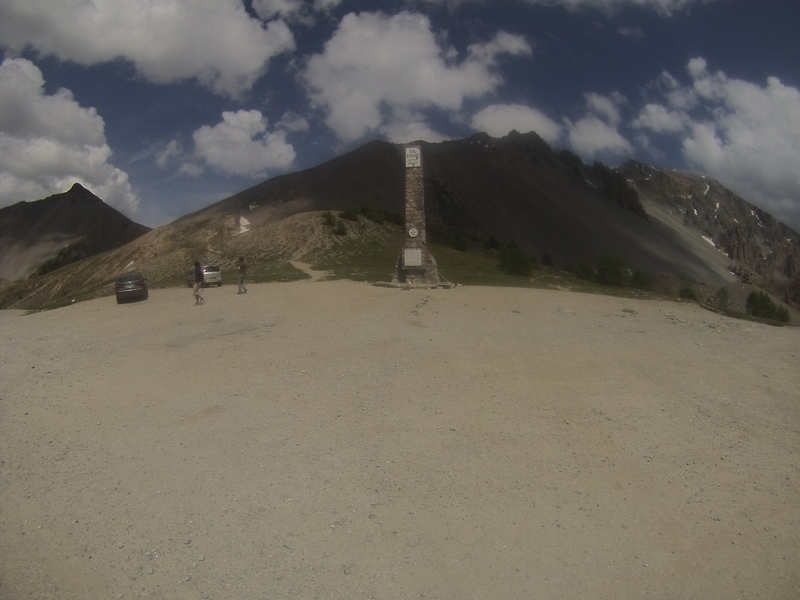 The Col d’Izoard, its highest point at 2,360m, where so many Tour de France were won and lost. 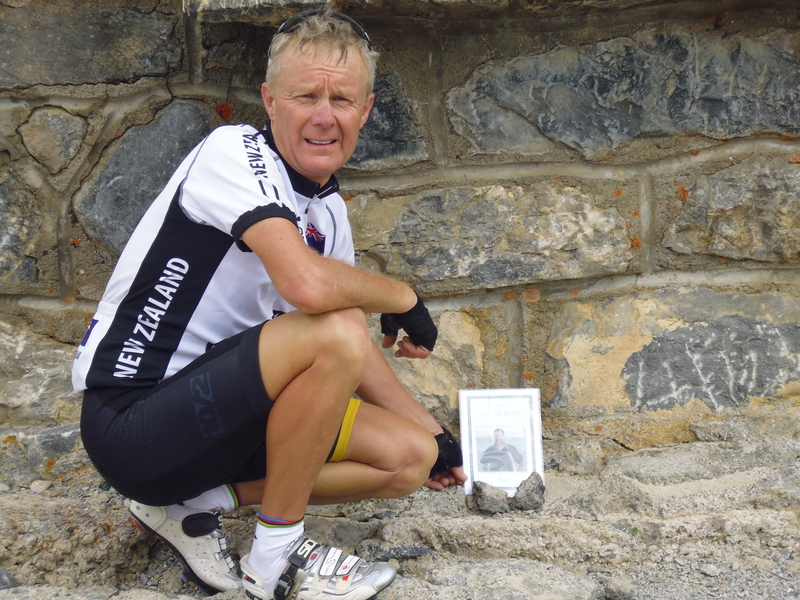 A personal moment for Garry where he leaves a photo of his brother who recently deceased – Garry first climbed this Col in 2000. After an obligatory photo next to the Coppi-Bobet memorial, near the summit of Col d’Izoard, they descend through the moonscape Casse Desert, and big-ring it down a sweeping gorge to their stop for the night, Guillestre. Louis “Louison” BOBET – known by many as the first great French cyclist, and first Tour de France rider to win consecutively three times – 1953 to 1955. 30 years ago today France played the All Blacks in the crucial second test match of their tour, 23rd June, 1984, Eden Park, Auckland. 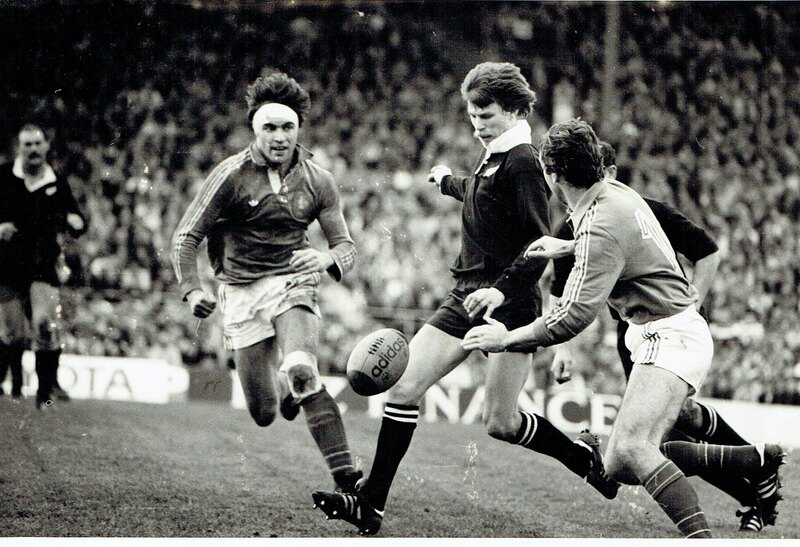 Left to right:Jacques Grattan (France), Allan Hewson(All Black) and Patrick Esteve (France). Second Test, Eden Park, 1984. That watched the second test. Would come out second best. Could not match the All Black Force. Each time he lined the ball. That could have won the test.